I was at ritzy fundraiser where they served typical California food: all natural, unadorned and sustainable, from the fish to the three wines to whatever those grains were. The man next to me had moved to La Jolla from New York few years before and we were talking pizza because, well, good pizza is a scarcity around here and strongly impacts the quality of family life. Dessert was a vegan “chocolate” mousse made from avocados. When the word “Pittsburgh” slipped into the conversation, the man’s wife’s ears perked up and she scooted closer. My children had just come back from a visit to Mt. Lebanon, and in their luggage, along with some Mineo’s Sicilian slices, were six pounds of chipped ham. 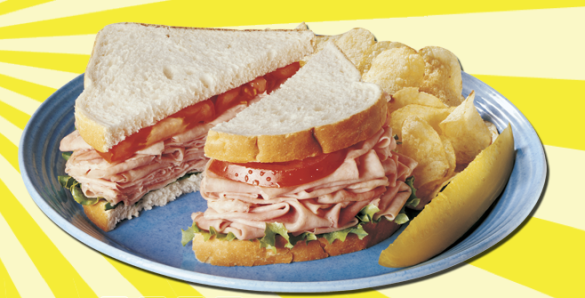 There are few things as reminiscent of Pittsburgh as Isaly’s chipped ham sandwiches. That’s one local tradition that has stayed intact, not been adulterated or commercialized or exported or knocked off, and it has stayed true to its Pittsburgh heritage. Those sandwiches just don’t exist outside southwestern Pennsylvania. Barbecued ham? The uninitiated unknowingly picture thick slices of Christmas dinner slathered with Heinz Barbecue sauce. The woman called her brother in New York. Unfortunately, it was 1 a.m. in New York, and until she called he was sound asleep. But when he found out that I knew chipped ham, all was forgiven. We made a date for pizza the next time he was in California, and he promised to bring one along with him.